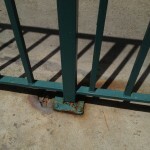 If you let your pool area go for too long you can rack up some hefty damage. Cracks, chipping, concrete shifting can lead to many problems. Aesthetics are not the only issue. 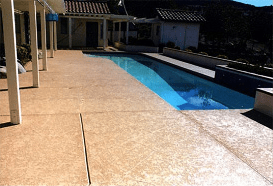 Hot, slick, or abrasive pool deck surfaces call for immediate action. If you wait too long, there might be the need to fully pour new concrete, costing thousands of extra dollars! -Grind out any cracks. We use a crack chaser bit to carve a “v” into the crack to prepare it for our waterproof epoxy filler. -Fill cracks with epoxy. 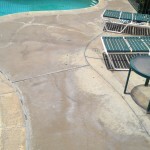 This fully waterproofs the crack, and levels out the pool deck surface in order to prepare for the deck coating. -Lay out Fiberglass. 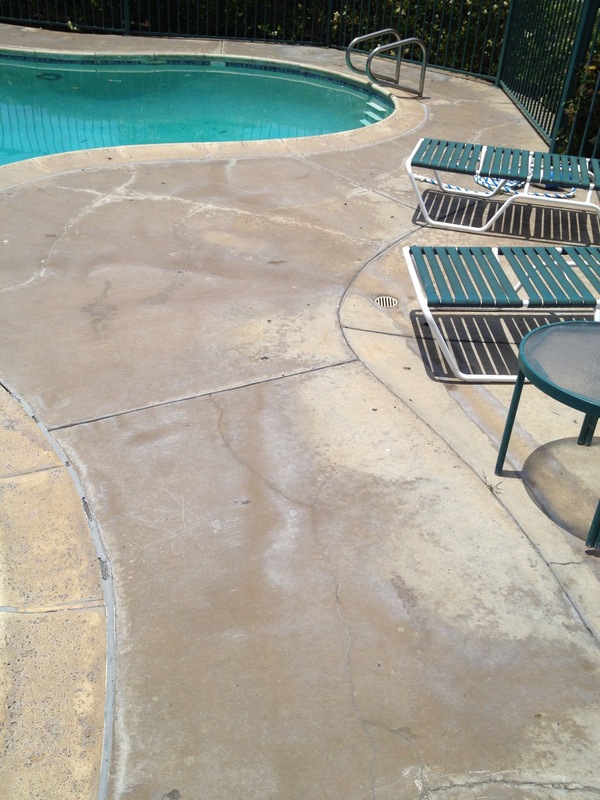 One of our options for pool deck resurfacing system includes a fiberglass and bonder layer. This is based on the needs of the customer. This step is included in the Flex System. -Trowel down polymer modified concrete layer. 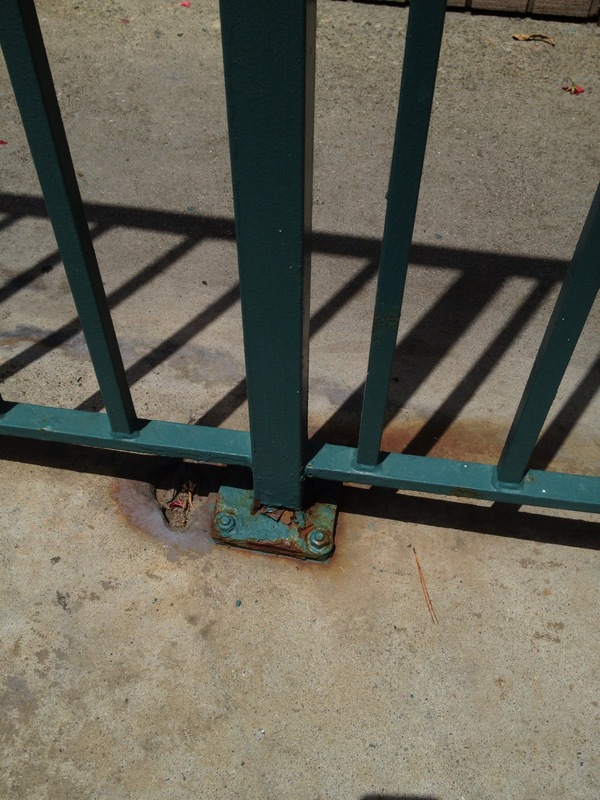 This acts as both a leveler of the deck coating as well as strengthens the existing coating. -Apply texture coat. We have three choices of texture to suit your needs. All of them are anti-slip, from smooth to knockdown groove. 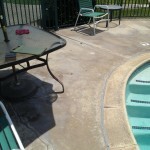 -We apply two coats of our epoxy fortified concrete paint sealer. This paint is specially formulated to waterproof and keep the pool deck surface cool. 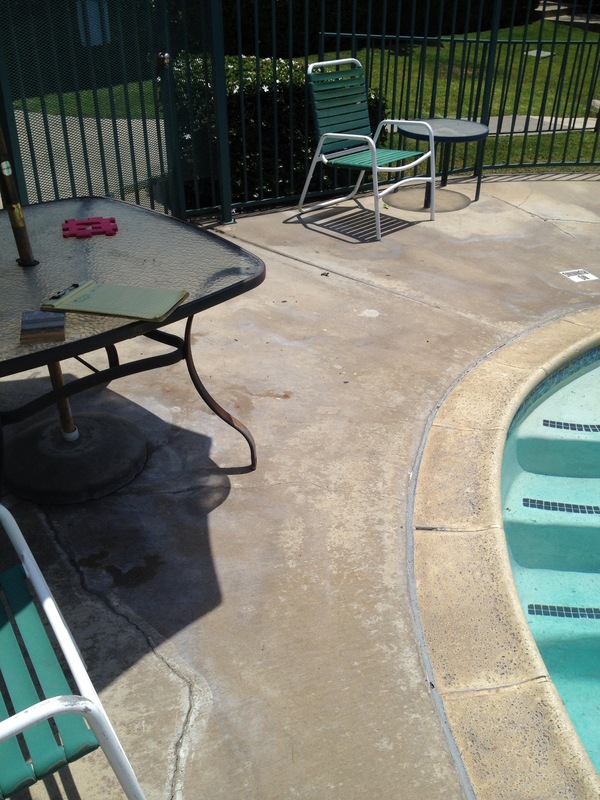 Prestige Deck Coating can turn a pool decking disaster into a delightful deck coating dream! Contact us today for a free estimate and to find out about our multi-year warranties!